Mediterranean foods are often touted for their health benefits, and for good reason. 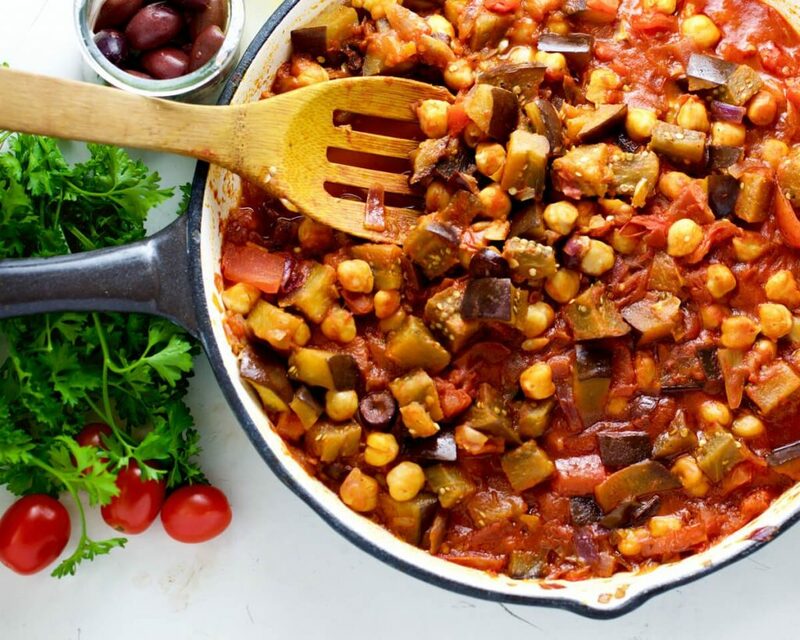 Mediterranean dishes are usually packed with vegetables, fruits, whole grains, and healthy fats. There’s been lots of research linking Mediterranean diets with a lower risk for conditions like type 2 diabetes, hypertension, and heart disease. 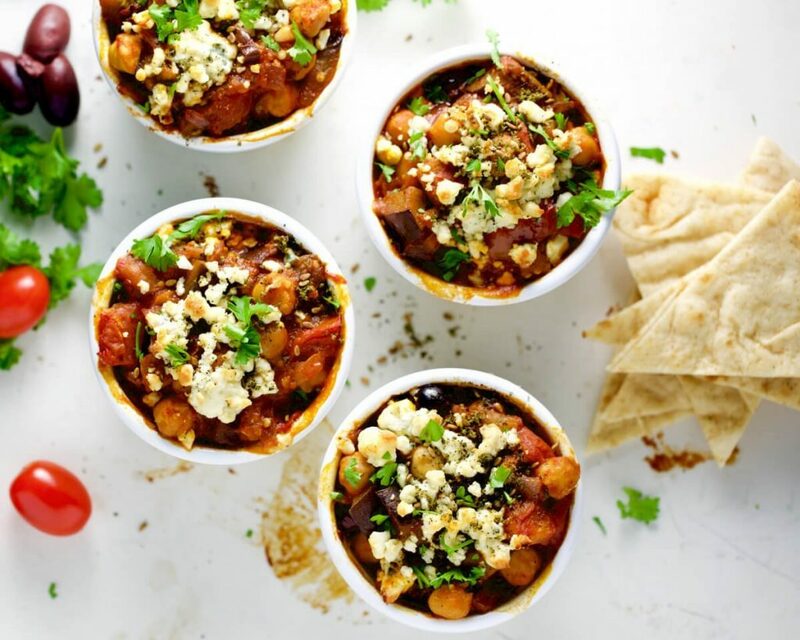 We are huge fans of Mediterranean foods, and so decided to whip up these savory Mediterranean Vegetarian Mini Casseroles. Casseroles are one of the most perfect back to school meals because they yield several portions, which means less cooking and more studying for you. These are personal sized, which makes them an easy grab and re-heat dinner option. You also have the option of having these with or without the cheese, for all you vegans out there. Let’s get started ya’ll. Preheat the oven to 425F. Heat the olive oil, and add the garlic, onion, and paprika. Sauté over medium heat for a couple minutes. Next add the tomatoes and eggplant. Mix together, and allow to cook for 5 minutes with the lid on. Then add the chickpeas, olives, tomato sauce, and water, and cook with the lid on for 10 minutes. Once done, add the stew into 4 small ~1-cup ramekins. If you don’t have ramekins, you can also pour into a baking dish, and portion them individually after. Optional: Top each ramekin with gorgonzola or feta cheese. Place the ramekins on a baking sheet. Bake for 10 minutes or until the cheese is golden brown. Remove from the oven, and top with za’atar and fresh parsley. Enjoy with pita, quinoa, or brown rice! Remove from the oven, and top with za’atar and parsley. Enjoy with pita, quinoa or brown rice!